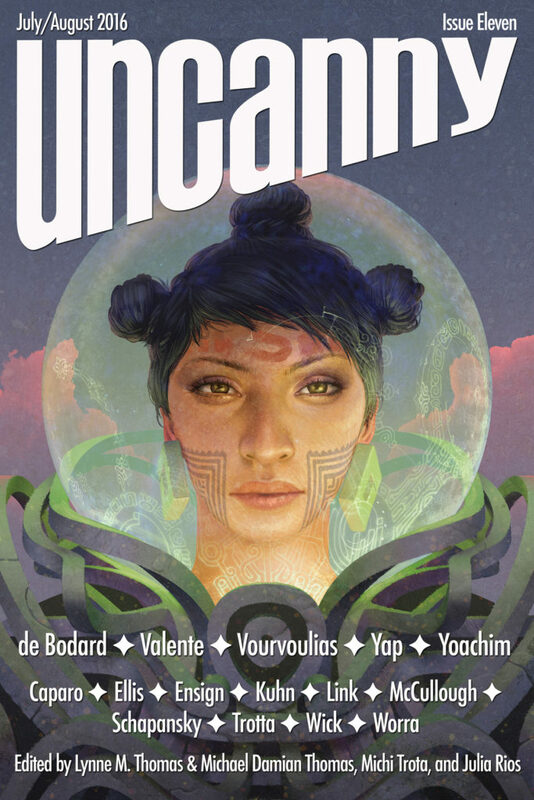 "El Cantar of Rising Sun," by Sabrina Vourvoulias, appeared in the July/August 2016 issue of Uncanny Magazine (Issue 11), published July 5, 2016. Although Alonso pretends that his tattoos give him magical protection, he knows they really don't. There's nothing else in the story that's even remotely speculative.